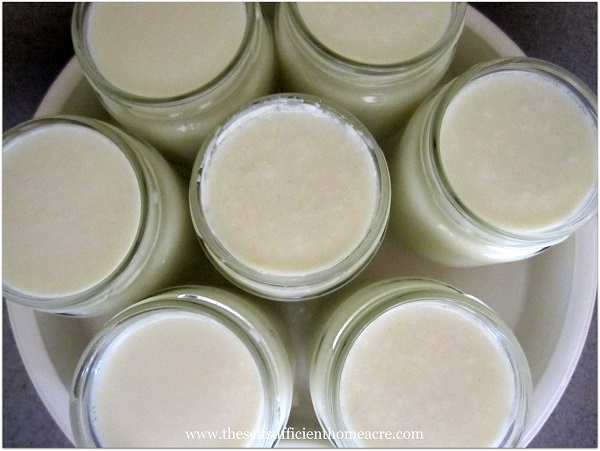 Recently I’ve made several batches of raw yogurt, which is very different from what most folks are making. I’ve had varying results. The first batches seem to come out very good. But using that yogurt to make a second batch doesn’t seem to work as well. The texture is different. I wouldn’t say it’s slimy, but it’s definitely a weird texture. So I’m not sure that I’ll make a second generation again. Now, I readily admit that raw milk is not for everyone. Some people are turned off by the thought of using raw milk. If anyone in your family has a compromised immune system, I would suggest using pasteurized milk for your yogurt. I buy raw milk from a small farm where the animals are fed organic, homegrown feed, antibiotics and hormones aren’t given to the animals, and they keep their animals in very humane conditions. They are conscientious about keeping the milk clean and fresh. I have no worries about bad bacteria in the milk. As long as I can make the yogurt soon after I bring the milk home, I am not concerned about the yogurt going bad. Most yogurt instructions call for heating the milk to 180 F then cooling it down to 110 F. To make raw yogurt and preserve the beneficial bacteria in the milk, I only heat the milk to 110 F. At 110 F thoroughly mix in the yogurt starter (or plain, fresh yogurt) containing the bacteria necessary for culturing. It needs to be incubated at 110 F until the yogurt sets, or becomes firm enough that you can tip the jar and it doesn’t run out. This usually takes anywhere from 5 to 12 hours. I tend to leave it longer for a tarter flavored yogurt. I use a yogurt maker to incubate my yogurt, but there are instructions all over the internet for using a slow cooker, a cooler and jar of hot water, and other set ups. I haven’t tried any of those methods to see how well they work. I would be concerned that the keep warm setting on a slow cooker might be too high, check before you put a whole batch in to try this method. The hot water and a cooler will need to be checked and more hot water added if the temp cools down before the yogurt is ready. I’m sure that you can use these money saving techniques with good results if you play around a little. If you want to have a rich, thick yogurt, I recommend using whole milk. If you really want to cut down on fat and use skim or low fat milk, you can still have a nice thick product if you add powdered milk to your mixture. Stir the powdered milk into a small amount of the milk first to form a paste, then add more milk until it is soupy enough to mix into the rest of the milk. Dumping the powdered milk into the whole pan of milk may create lumps. Besides the fact that yogurt tastes great, it’s also good for you! 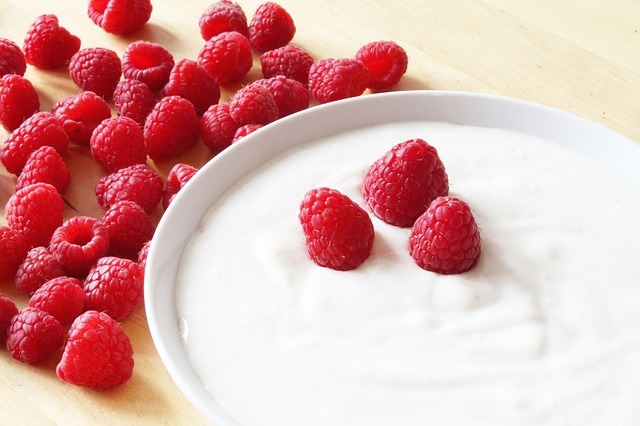 The beneficial bacteria in yogurt helps keep your digestive system in good working order. 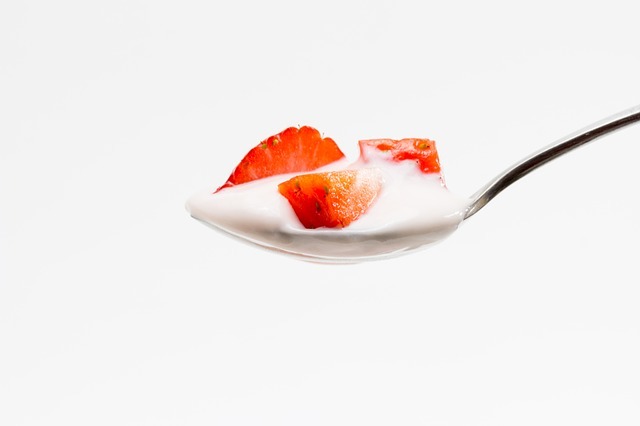 If you have taken antibiotics for any reason, eat plenty of yogurt after finishing your medication. This will help repopulate your gut with the good bacteria needed for proper digestion. When your yogurt is done, chill it and eat. I like adding a little homemade jam, granola, or raw honey to my yogurt. Do you make your own yogurt? Do you make raw yogurt or do you pasteurize the milk? Hi! 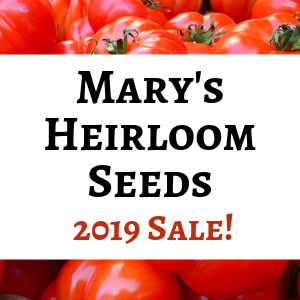 I’m Lisa Lynn…modern homesteader and creator of The Self Sufficient HomeAcre. Follow my adventures in self reliance, preparedness, homesteading, and getting back to the basics. 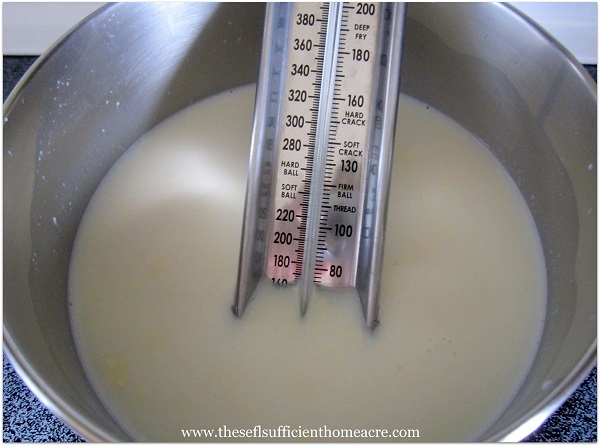 » The Easiest Way to Make Yogurt! Pingback: Sour Milk – Don’t Toss it Out! I never check the temp. of milk. I put 1 cup yogurt in a quart canning jar, add enough milk to the neck and put a used flat and ring on the jar. Either I use my dehydrator or if we’re using the woodstove, put the jar in a big stockpot and add fairly warm water to cover the jar. I put it next to or on it depending on how hot the stove is. never check the temp., go by feel. Makes great yogurt, time varies with temp. of water. No need for all the extra stuff. Love it, so healthy and good with honey and nuts of some sort. Raspberries, blueberries, and strawberries are yummy too. Timely article! We just recently found a local source for raw milk and made our first batch of raw milk yogurt! We have always used pasteurized milk and the hot water/cooler method with added milk powder (azure standard organic oddly enough 🙂 The raw milk version tastes great but has kind of a curdled texture. It may simply be from all of the cream that separates. Any ideas? Yes, the cream does separate from the non-homogenized milk, no matter what you do. I think that with the raw milk yogurt you also have the naturally occurring bacteria working on the milk, which could be causing a different texture. I’m guessing that before modern industry made yogurt a standardized product, and it was all made at home from fresh raw milk, people were used to have a different finished product. We’ve just become accustomed to yogurt from the store. Thanks Rebecca 🙂 That’s one of the things I need to accomplish today…we are all out of yogurt! i’ll be honest – making my own dairy at home kind of freaks me out. i need to get over it of course. obviously. this makes it approachable. Thanks Kristy! I hope you get a chance to try your own yogurt…I like knowing exactly what goes into my food…and I know you do too! 🙂 Thanks for stopping by! I’m sure you would enjoy the yogurt 🙂 Thanks for the tip on the hot water and cooler working well for cheese, I’m hoping to make some soon. What type of starter do you use? Right now I am using Yogourmet, I think that’s the name. When that is gone I have a different kind, but don’t remember what it is. We eat a lot of greek yogurt so I it’s on my list of things to try to make this year. We usually put some in our morning smoothies and I love eating it with granola and fruit for a snack. I love yogurt in a smoothie 🙂 I like the Greek yogurt too. I tried some culture for Greek yogurt, but didn’t think it turned out like the store bought. I need to try using some yogurt from the store to culture the next batch. 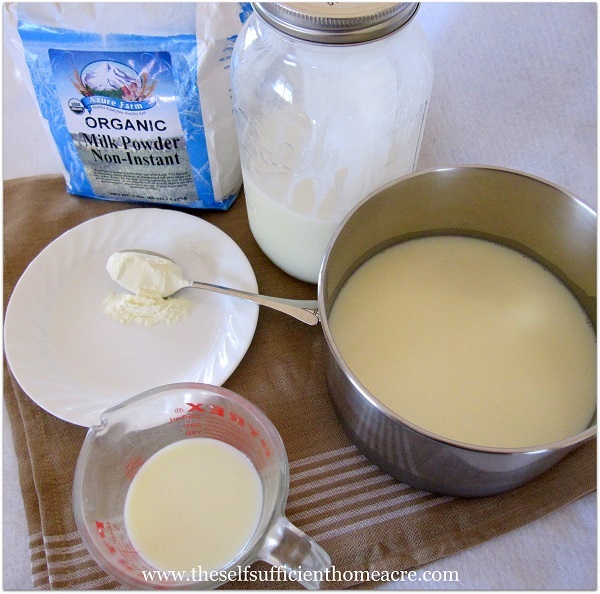 Thanks for sharing how to make raw milk yogurt! I’ve made yogurt with regular milk several times, but have never used dried milk to make it thicker. Interesting. I’ll have to think on that. I’ll be pinning this for future reference. Happy to share Becca 🙂 Thanks for pinning me! I tried to make the raw yoghurt a few times, mainly because I hate the extra time needed to pastuerise it! We milk our own cow, so I knew the milk was good. Every time it separated completely into curds and whey, so I gave up. I’ve read a few times now that people have got it to work, so I should really keep trying. I hate to admit that I use milk powder only to make the yoghurt now as its so much quicker, what a waste when I have raw milk in the fridge! You do what ya gotta do Liz! Mine has been separating a little bit. I wonder if adding the powdered milk to the regular milk would help? I’m going to add the powdered back in since it has been separating. I make my own yogurt. I am trying to get it thicker than usual. I strained some whey out last time and was pleased with the consistency. My new favorite way of eating my yogurt is with honey and pecans. It is delish! I haven’t been here before, but I like your blog. We will stop by again.